What if we could live in Mr. Rogers’ RA Neighborhood? Ask, “How are you doing?” Listen to the answer. Open doors, cans, jars, soda pop, plastic storage containers… without being asked. Don’t hand them something heavy. Most things are too heavy. Notice whether an RA’er is having trouble walking. Do a household chore or give a gift certificate for a maid service. Read a blog about RA, so you can learn about what your loved one is dealing with. Go to doctor’s appointments as moral support, witness, driver, or physical assistant. Exchange jokes. Be funny. Pain is a big downer. Ask an RA’er to tell you her / his story. In your dreams, what would people do for you – because you have Rheumatoid Arthritis? Wouldn’t it be fun if we could print out the whole list and email it to every contact? I’d like to give it to all of my neighbors, print it in the bulletin at church… Hey, I’d go so far as to post it on the most important media center in the world: post it on the fridge. The Onset of Rheumatoid Arthritis: How Does RA Begin? ← How well do Biologic medications help Rheumatoid Arthritis? When I tell people I have RA, I would like them to respond in this manner: “Tell me about RA and how it affects you”. Then they would listen carefully and ask questions. They would not make assumptions or give me uneducated advice. What a fantasy! I’ll let you know if it ever happens. I’m thinking Mr Rogers said: Be my neighbor. Wasn’t he ordained? Reminds me of the Good Samaritan. Anyway, it sounds like your family has got it right. Just wish my family would ‘love ‘ me more. Love as a active verb. I don’t mean to be so annoying. Sorry, just depressed today. I just wanted to say I wish I could give you a hug. I know exactly what you mean by saying you wish your family “loved” you more. Actively. I so so get that. I second that! We need you, and each other! I have enjoyed many of the postings. I have RA and so far I have had both knees replaced (done at the same time) and recently my left shoulder replaced. This time I was told to go off and stay off all RA Meds for 5 weeks. Embrel, methotrexate, and naproxen sodium. My body really hated that. Comments from anyone else about this? Neal, Really good question. We all deal with this at one time or another I guess. I know I’ll be doing some research on this to try to get some tips. This is like torture to stop medication that’s keeping us out of wheelchair and bed. At least we have the medicine to go back to! so we can get back up eventually. Hope your new knees and shoulder are doing well. I must say that I do have a great neighbor. She does something for me that you may want to add to your list for we RAers with children: Ask if you can take our child/ren for a few hours. Kati, You do have a great neighbor. Good addition to the list. Handrails on both sides of long hallways, such as those in big buildings and especially in medical clinics (of all places, you’d think medical/rehab clinics would have them, but they don’t), would be wonderful. Hanging onto the wall for support down a long hallway really isn’t safe. Porches with hand rails along the steps would be nice, too. Their are some places that I don’t go anymore just because of no way to support or steady myself going up or down a few steps. My dad had RA and finally had to have full leg braces and crutches just to be able to stand, my sister has it, I have it, and now my daughter has it. My family has seen first hand what this disease can do and is very supportive. Church is another story. People do help me up and down the steps, but a lot of them really don’t understand that volunteering and helping like I used to do really isn’t an option. My church is very small. Everyone’s help is needed in multiple areas. I have considered changing to a larger church where people feel free to pick and chose or just to attend and not feel “harrassed” to do and do after being told repeatedly that no longer can do that. Wow Charlene, your comment really made me think. I’m so sorry that not only do you suffer from this disease, but so do so many close to you… I’m not a religious man, but if I were hassled into doing things that I’ve told others bothers me, I would get upset, especially at church… that was one of my suggestions in my comment a minute ago – when we RA’ers say we can or can’t do something, folks need to respect that. Good luck and take care! 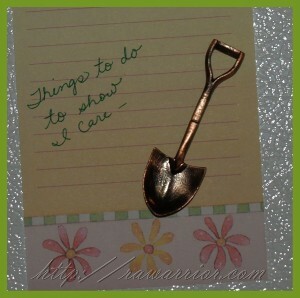 What I would love, was to add : just show you care. From anything to a quick phone call to a hug to a “wanna cuppa coffee”. You can’t always see that I’m in pain, but a hug (gentle of course) is most often all I need to make the day a little easier. Hi Laila, that’s very funny – I have a 4 year old so I know what you mean. Thanks for your comment – it makes it lighter for me too. That one would be great. I have a 2 1/2 year old and would kiss the feet of someone that would take her to the park for a few hours! here is one more.. let us start a campaign for the purse/coat hooks in the “handicap” restroom stalls to be lowered!!! Carrabas in St. Augustine, Fl is the FIRST and ONLY one I have EVER seen to be reachable!! LOW HOOKS ..LOW HOOKS… !!!! PUL–EASE!! I would like to have someone delivery groceries to ME..& do the shopping for ME & get it right.another I would like a to have a 🙂 cook !!!! Roxie, I am with you! Both my husband and I have disability issues – he has severe cardiac problems, yet he manages to do most of the cooking (really good French stuff!). Neither of us can manage cleaning, though. We hired one of the people at our grocery store to clean once a month, but now we can’t afford that, as both my and my husband’s consulting work is down to nothing for me and about 10 hours a week for him (YIKES!). So on top of all the physical issues, we have “getting meds” issues, and paying the mortgage issues and paying the utilities, etc., issues. Basically, we just have issues, right now. Wish one of my kids or a neighbor would come clean once a month! Having someone to shop and deliver groceries would really help. I remember the local farmers would drive around town on Tuesdays and Fridays when I was a kid. They dispensed fruit and vegetables that were really ripe and fresh! The dairy company delivered milk, eggs and cheese twice a week. And the grocery store down the street would deliver – my grandmother could just call in her list in the morning, and about 4pm the delivery boy would be putting the bags on the kitchen table. Sometimes I just wish we could take a few steps back in time – in terms of services! But I can tell you, no matter how bad any of us feel on any day, we are more fortunate than those back in the 50’s and 60’s and even through the 70’s who had Rheumatoid Autoimmune Disease. They were in bad pain, had horrible crippling, and mainly relied on aspirin, prednisone, and the early anti-inflammatories (butazolidine, indocin, etc) – all of which tore up the lining of their stomachs! One article from the time noted that within 6 months, a majority of the patients came off those drugs because of stomach problems. But I sure could use some of the services we had back then!! I think that it is ironic that one of my medicines used only for RA comes with a cap that someone WITHOUT RA could not even open. I hate to ask for easy open caps since I have grandchildren but I wish there was some alternative for us. “Oh yea, I have that sometimes in my knee.” Like it is a little ache that will go away in a few minutes! I truly appreciate your blog. You make me feel that I am not the only one that has these emotions, pain and frustrations! Thanks! I, too, have trouble doing all the shopping–walking on concrete is a killer. I have used Angelfood Ministries, basically a Christian coop, where you prepay for your groceries and pick them up once a month at a local church, community center, etc. Great Food For All is also available in some areas and is a similar plan. Neither offers everytning that you need, but has cut down by at least half the amount of time that I have to spend in the store. Both are open to everyone, and it isn’t unusual for friends\neighbors to pick up boxes for friends (receipt required for safety). Information about both is on the internet. Some stores will also let you do your shopping on the internet and will deliever for a fee plus a tip. That can be expensive, so when shopping that way it is cheaper to place a big order for 2-4 weeks. Thanks for the tips, Charlene. There are lots of creative solutions we need to look at. GREAT FOOD FOR ALL HAS CLOSED.!! Due to Distribution problems, and health problems of Pastor Dane and some other staff members, They felt that God has told them it’s time to STOP. We at Wolgamuth Church of the Brethren in Dillsburg Pa. are sadden to hear the news. Blessings on the Price family as they go through the issues of closing the business. Angelfood Ministries shut down for good back in 2011 – as I understand, because of mismanagement. They were a few miles down the highway from us, and we used to get their food boxes from time to time. The quality of meat wasn’t good, and the boxes had at least 5 boxed foods (poor quality protein, too much fat, too much sodium, too many carbs) each month. I found I could save the same amount of money or more by being very careful, but getting good fresh foods and good quality meats. Going to the grocery is getting to be very hard on both of us, but we plug along. Good Harvest, in Loganville GA has taken up where Angelfood left off, but they don’t cover all the same areas. When an RA’er tells you that they can or cannot do something, believe them…don’t think they’re trying to avoid something, or do something you think they can’t. Do those count as “help”? Even my strongest allies don’t get it sometimes. My husband commented when I started using a cane that I must “enjoy the attention” I get when people open doors for me. I was floored. I told him that I preferred the attention I got when I could really work a pair of 4 inch stilettos and a tight pair of jeans. The difference between “attention” and “pity” is huge. No I don’t like it, and I never will, but I do appreciate it. Judy that is SO WELL put. Wow. I agree with Judy. Heels and tight jeans! I am very lucky. I use to teach school and my wonderful teacher friends would open my ketchup packets or cut my food if I needed them to. They would always end up in my room throughout the day and check in on me. I have a wonderful family suppport system and they will do anything I ask. They tell me to tell them. That way when I have a good day I don’t have to think about my disease. I am truly blessed. Church family, friends, and family that love me and understand me. Thanks for your website Kelly. Amazon Fresh grocery service will deliver your groceries for you, to your door! The only reason I haven’t used their service is that they don’t take food coupons. Friends have used the service and been very happy – and they don’t have RA! But it’s only available in Seattle area! My thing would be a neighbor, relative, realizing the price I pay the next day for yard work…It has to be done, and my writing skills/blog is not generating enough income to pay a lawn service yet,,, LOL.. Raking & mowing is a real trial for me, but I still “struggle through”. I do have a couple church family older folks that have brought a meal over when my wife was out of town :). People are good, or they mean to do good,, but get caught up with other “important” things. Amen…what helps someone with “mild” arthritis isn’t going to do diddly squat for some sufferers. I pray that I am blessed with 1. a good doc, 2. diagnosed before I was too far gone 3. have been responsive to biologicals so far. Also each time I am in for my Remicade infussion I see others that are SOOOOO much worse off than I it makes me want to cry out. I can still ride a bike 20 miles (not 100 like before, but who am I, Lancde Armstrong??). I can still work, even if I can’t do 100% of everything I want to do. May the Lord keep you all at this special time of the year. John, That is wonderful to hear. What a warrior spirit. I can not begin to tell you how blessed I am by a neighbor that “gets” it. She puts her needs aside even though she is a mother of 3 young children, and does whatever helps make my life easier. She drives me anywhere I want to go, grocery shops, will heat my heating pads and puts them on me when I can’t get out of bed some mornings, will rub my feet and put biofreeze on sore muscles, opens doors for me, has put on and tied my shoes, will not let me cut anything like vegtables, etc., cooks for me, and texts me every morning first thing to see how I am feeling. I am the most blessed person. God knew exactly what he was doing when they moved into our neighborhood years ago. I don’t know what I would do without her. Isn’t is funny how some people just have that nurturing quality and instinctively know how to help others? What a different world we would have if we were all that in tune to other peoples needs around us. Oh my, after reading this I better go have her buy a really great Christmas present for herself! I do believe that God gave me a great neighbor to make up for my extended family and their lack of support. Both Steve and my mom died in their 40’s so we have a unique dynamic. It is so sad when a neighbor or a friend can be more of a family member than your actual family. My family has not once called, written a note, or asked how I was doing in the over 2 years that I was bedridden and diagnosed. The worst thing is that my sister lives right behind me. They act as if it doesn’t exist. I actually will say things just to open the door for conversation and I get dead silence and no response. Maybe it is fear. Maybe it is because they can’t handle the emotional attachment that comes with overtly showing concern. Possibly, they are afraid that I will actually want them to do something for me. If so, that is a selfish spirit with which I can do nothing about it. That is why I am so unbelievably blessed to have a neighbor that makes up for my extended family. I wish I could tell you why some families do that. It’s hard trying to guess why. Mine story is similar – you’d think they’d read the website & be moved by comments like yours, but it’s like it doesn’t exist. I’m so glad my own kids are aware & do what they can. And I have 1 friend without RA who really tries to understand what RA is & it makes me feel loved. I want to learn every thing about RA, so I can help my daughter in this battle with RA. Thanks for this site…. The best thing that anyone can do for ME is to just “ignore” the fact that I have RA, without actually ignoring it, if that makes sense. I don’t want to be asked how I’m doing, because I’m either going to lie and say I’m fine, or I’m going to tell them how I really feel, which I don’t like to do. Sometimes I do have the need to tell someone, “I hurt,” but when I do, I want to do it when I want to do it, not because someone is asking me. I don’t like hovering, if that makes sense. I’d like to have conversations with people who understand that I have RA and that I’m likely in pain and very tired, but who respect that, and help me with fun/interesting distractions and who don’t have expectations that I can do the physical things that I can’t do. 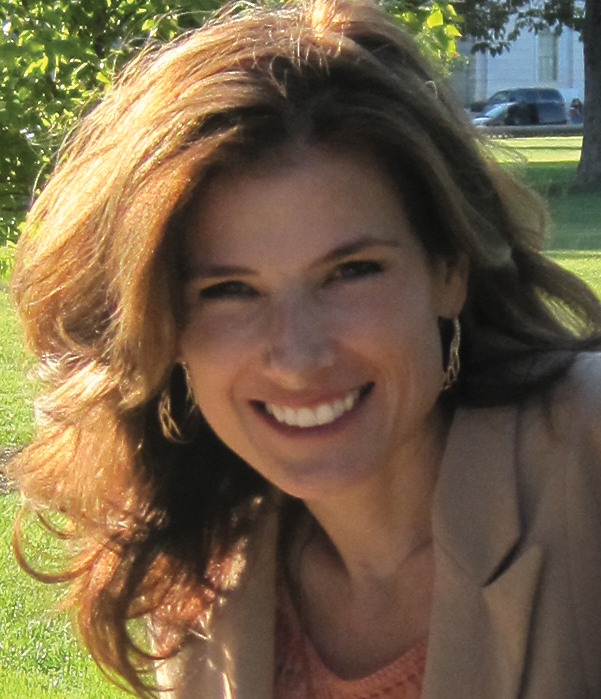 That sounds like what I wrote about my hairdresser – that she treats me like a person. Not a person with RA in particular, but just a person. Excellent!!! Wish everyone knew this! Especially opening things without being asked and noticing when I have trouble walking! It’s great if they just do what I need them to do instead of making me wait to ask them. Thank God for those people!!! Living with the fatigue is the hardest for me. I refuse to quit moving, but do try to get a short nap in every day. beat me. Glad to see that I am not the only one that just wonders what really causes it. I’m not sure whether you’ve already read any of the posts on fatigue – you can click on Fatigue in the Tags list dropdown and it will show you the list. Here’s one post that talks about the most common theory on the cause – cytokines in the blood the same as when you have the flu. I know it is hard for people to relate to a problem when they dont have the problem, especially chronic problems, but I wish they would take the time to find out something about it on their own and try to be more sympathetic. Putting someone on a “guilt” trip because they are always tired or they always hurt does not do anything but make the person sad and depressed on top of the exhaustion and pain. It is so wrong to do that to a loved one.Just be supportive if for no other reason than you love them. I am so lucky that I’ve had drivers since the RA hit hard in 2006 – my teenagers! 🙂 It is a big help that they can also go w/out me now & take my credit card. I wish I could still do it all but since I can’t I’m thankful they do! Thanks for the list, what great advice! I have great neighbours who shovel the sidewalk in the winter, weed my gardens in the summer. She’s even cleaned my house on occasion, both of our families go out for dinner once a week, or they have us (my hubby and me – no kids) over for dinner. I’ve dealt with “the bullies” when I was growing up mostly, I find adults are more understanding, but then the arthritis society here in Canada does a lot of promoting. Please keep up the great work, I really enjoy reading your blogs. My opinion on ways to help people living with RA is showing loving kindness and full support to these people. Encouragement is the vital support that one can give to RA patient. This is the best list I’ve seen. Thanks :). Give em a six month supply of methotrexate. It works for me! 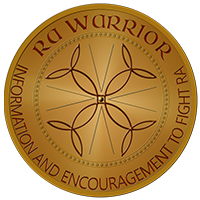 When I tell people I have RA, I would like them to say,”I don’t understand what that is, could you explain it to me?” My answer is always an overwhelming YES. A little education goes a long way toward compassion. Your list is great! It would nice if people were just a bit more thoughtful in general. Several times when I’ve been out with my cane and having knee/foot pain, I’ve had friends expect me to hobble up 3 flights of stairs and when I say I can’t do it, they look surprised. Exactly right. I mean, exactly wrong. Thank you for sharing, Brenda. Remind others, that shaking hands, can be very awkward and painful, with RA. I hug people instead and usually they understand after I tell them why I can’t shake their hands. I wish there was some sort of teaching device that we could have people wear that would give them some sort of RA-like experience. Like they do in maternity classes, where they put on the apron on men to show them how it feels to do things carrying 25+ lbs, etc. Or like in a safe driver course they have the goggles you wear to simulate how it would be to drive drunk. Then maybe it wouldn’t be so difficult for people to understand. What ever is created, it should be mandatory for all rheumatologists to have to experience it. Dr’s are usually more sensitive when they have first hand knowledge of the affliction. If you know of something that exists please pass it on! I’ve had RA since 1998. I almost died 2 years ago from a syndrome associated with RA called Pyoderma Gangrenosum.My Dr’s didn’t catch it and when I was near death my own daughter, who is NOT a Dr., realized what i had by searching the internet. She saved my life. Everyone needs to have someone advocate for them if they are not able to do so for them self. I wish the whole world will be a Mr. Rogers’ RA Neighborhood. There are days that I just need someone to open a jar for my enjoyment: fruit jam, olives, etc. People look at me and can’t understand why I’m asking for that favor. Can’t see my swollen knuckles? I hope that 2012 will mark the beginning of Mr. Rogers Neighborhood. Enjoyment is right! There are so many times when I feel like some particular snack or even just food and i have to go without cuz I just can’t get it open. And my hands aren’t swollen. Just don’t work any more. when family’s home, they do come to my rescue. Thank you for all of you very informative information regarding RA. 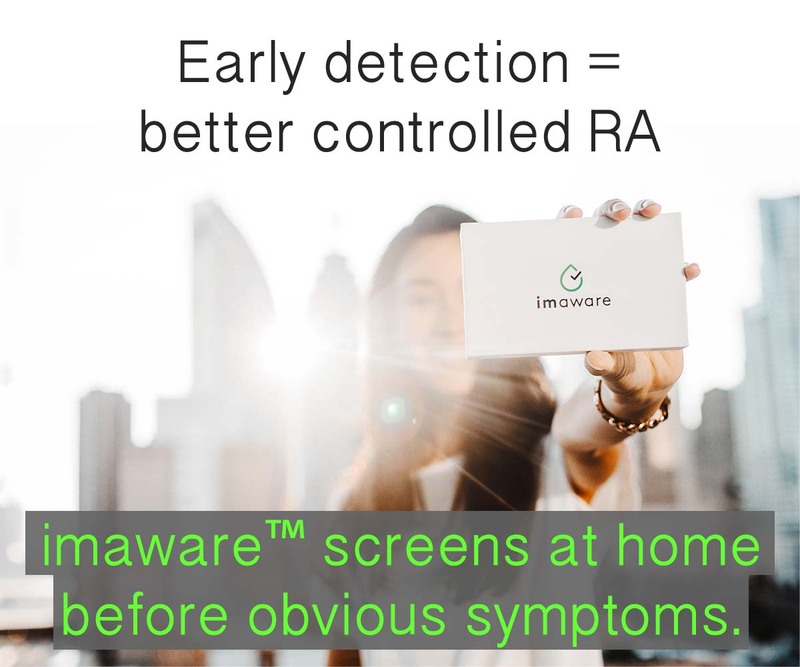 My daughter has RA and I find this information very helpful to me so that I can understand what is going on with her health and how I can better help her. Choosing the right words and a good listening ear. May God richly bless you in all that you do, and may your good days be may! I’ve read most of the post listed and I must say I am a blessed RA Warrior. My husband, children, extended family, and friends are the greatest! Your post makes me want to just tell everyone thank you more and let them know how much I appreciate their support. My husband and I adopted 2 girls in 2005, they were 8 and 9 years old, before I was diagnosed with RA. Two years later, I went down hill fast with fatigue, knee pain, wraist and fingers in pain and I found myself in the bed for 2 months afraid to walk and to leave the house. I felt so bad that I couldn’t do the things I was able to do for my boys when they were their age. They have been such a blessing to me, all I have to do is call their name and they are here for me. I’ve been served breakfast, lunch and dinner in bed when I couldn’t get up. Now that I’m active and independent again, I still receive first class treatment. Now my girls are 15 and 16, we go to the grocery store together, I ride in the scooter while they get the grocery from the shelves. They know how to use my debit card and enjoy doing things for me often. They remind me when I need to have a snack so that I won’t feel bad from my meds. Your post help me to see that I don’t say thank you enough! You are very blessed Charlene. And have a wonderful outlook. Thanks for this site! I just got diagnosed and man those tips are spot on! Kim, I wish you great success in your fight to feel half human again. You will read many scary things so keep your humor. It is a hard road. So many other problems can come from this disease so be prepared. I am a lucky one to have a husband who really chooses to know what RA is and cares for me daily. I do wish the name would be changed. People do not realize what it is because they hear arthritis and that is all they think it is. Take me for a curry! My husband understands because he sees the evidence – the swelling in my hands visibly reduces as I tuck into my (very spicy) curry at our favourite Indian restaurant. 1. Having broken spirits or weak faith. 2. Stop telling us we are lazy or not trying. 8. Be silent… sometimes that is all we need to regroup. 9. Stop asking… “did you………” “can you……” etc. 10. Show others where we can meet up with like people. Don’t tease me about using plastic plates and serving dishes! Laugh with me as I sit while you dance. Ask me about it. Ask ask ask. When you see me limping ask me about it. Don’t tell me I’m too young for this. Please call ahead before dropping in as the house will probably be a mess if the curtains are closed. Don’t roll your eyes at me. Accept me. Don’t tell me at least it’s not something worse. Please offer support and your ear. Remember who I was, if you knew me then. Mourn that person, as I have, and help me transition into my now. A hug – gentle now – wouldn’t hurt either. Thank you. I wish we couuld put if you really loved me don’t try to sale. Me your re latest get rich while annoying your friends scheme .If I want to try it I will find you people waste my time .energy etc. If it worked like you say it would be headliine news.My doctor and ins would love for me to be cured so they no longer had to pay for me. . I wish I had known more about RA, before I was diagnosed. This has helped me though to understand when well-meaners say take some Tylenol for arthritis…or things like that. I hate when my knees and feet are not working, people look at me and I just know they think I’m faking, because maybe they saw me yesterday or last week and I was walking fine.I wish the world was more imformed so that RA sufferers could deal with the disease, and not stress so much about dealing with what people think and say about you as a person. I wish friends and family truly understood whenI can’t open the mustard, I REALLY CAN”T. I have a disease that won’t let me. I just wish people would notice — especially my own family. The only time my family ever even bothers to help is when I have like an RA attack – -when it is instantaneous and I am so hit upside the head I collapse. I try not to say anything anymore because if I say something hurts then I get a long list of what pains other people are dealing with. I’m sorry — I’m so mad at the moment but I read a few minutes ago I can share what I feel and I won’t be judged. Maybe the whole problem is inside me — that I still cannot accept myself when I am hurting and so tired I can’t think — I had a really good summmer. I had some pain but not much. I had stiffness but i am used to that now. i never had energy for a while (I started taking MSM and it really gives me energy)and then bam! The RA Monster strikes out of the blue and throws me in bed. I had forgotten how nasty it is, how relentless, how unpredictable. My loved ones who do love me so much and I them up and leave me to do it all at home…complaining doesn’t help and waiting for them to help doesn’t help because things need to get done and they don’t get done if I don’t do them. I’m just so darn tired and overwhelmed. Thanks. I’ve gotta go.